Have you noticed how much they are charging these days for a little container of Hummus from the grocery store? Save yourself some money and make your own! This is an easy-peasy recipe that can be thrown together quickly and served with drinks or a nice cold beer! And, as it is Vegetarian, everyone can enjoy it. You can vary the ingredients to suit your taste preferences. Season to taste and add a half-cup of chopped Parsley. 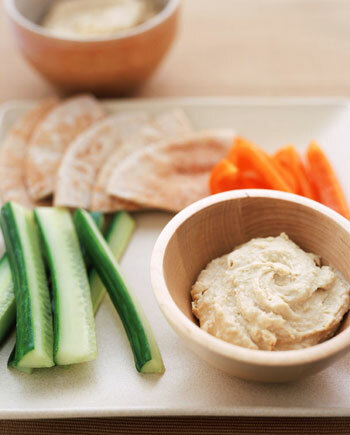 Serve with warm slices of Pita Bread (crackers or corn chips) and slices of assorted raw Vegetables. A bowl of good Olives goes wonderfully alongside this as well.